The network management functionality is designed for entities that want to manage their own networks as well as for those looking for third-party administration. To create an entire ecosystem, Assured Performance integrated their APEX Network Management System used by several OEMs, MSOs and suppliers with ShopOps, their process management program that is already installed at thousands of certified shops. To create a closed loop, these systems are integrated with intelligent shop locators and smart app devices that have been downloaded by millions of consumers already. This unique ecosystem also provides inter-connectivity with main suppliers, IPs, and other data and information sources. The new-generation ecosystem relies on data integrity and tracking as a foundation for blockchain technology and similar concepts to be harnessed by the industry in the future. Altogether, Assured Performance states that these tools create a seamless system that promotes and delivers information sharing, automated communications, on-demand processes, performance reporting, repair procedure access and documentation, and even enables consumer appointment-setting. Assured Performance states that this new-generation ecosystem is a “quantum leap” beyond the current, 40-year old DRP business model that dominates the industry. The company claims the new ecosystem model lays the foundation for cutting-edge approaches like predictive estimating, analytical estimating, and telematics with vehicle-generated damage analysis and FNOL with interfaces that embrace consumer mobility and device preferences. 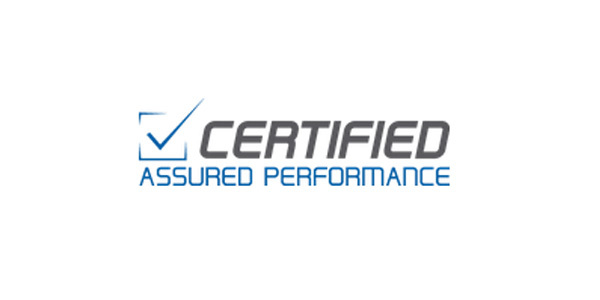 Assured Performance says the tools are already deployed and operational in the market and do not disrupt existing practices by mandating preferred estimating systems or other restrictive integration barriers. Using this new turnkey system, Certified Repair Providers can even leap beyond basic repair procedure access and provide a “Certified Repair Option” for their customers. Assured Performance invites all industry segments to leverage the ecosystem components, specific to their needs. OEMs, insurers, suppliers and MSOs all have the option of self-managed or third-party administration of their respective networks with flexible linkage, features and functionality. They can even create their own hybrid model that best accommodates their existing infrastructures, future strategies and business goals.